Personally I like puns – but puns in other languages are strange things indeed. 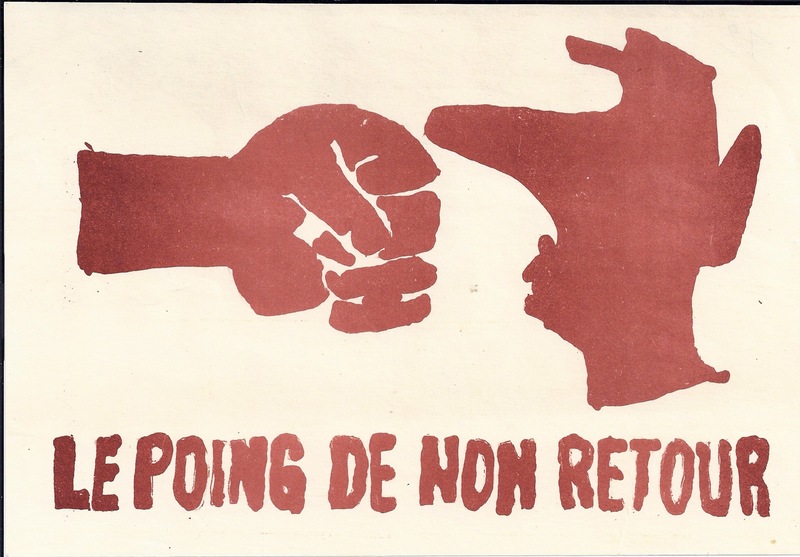 To understand this flyer you need to know that in French “poing” (fist) and “point” (point) sound identical. 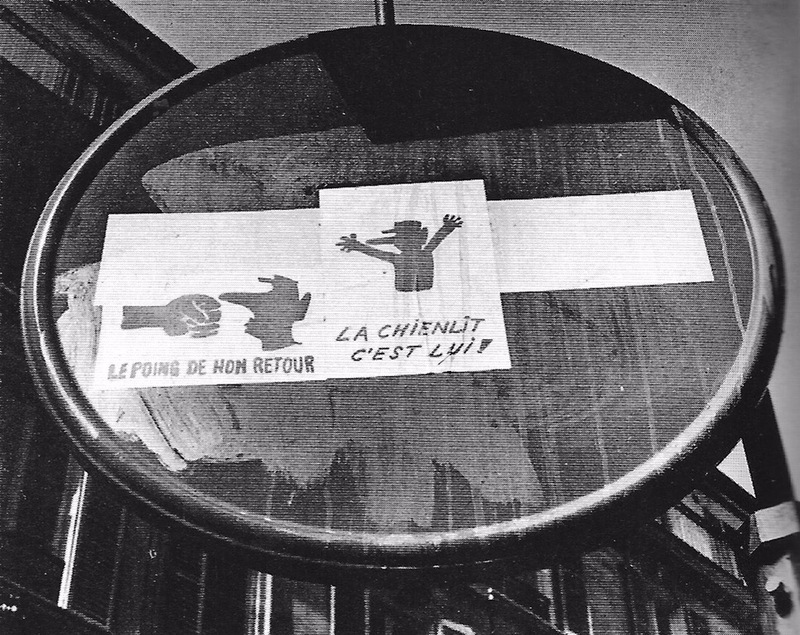 So this image of a revolutionary fist punching De Gaulle in the face both illustrates what the majority of the protesters in May 68 would like to see happen (whether metaphorically or literally! ), and spells out that that things have progressed too far to go back to normal.